The British Gazette » Her Majesty’s Government: Not fit for purpose! 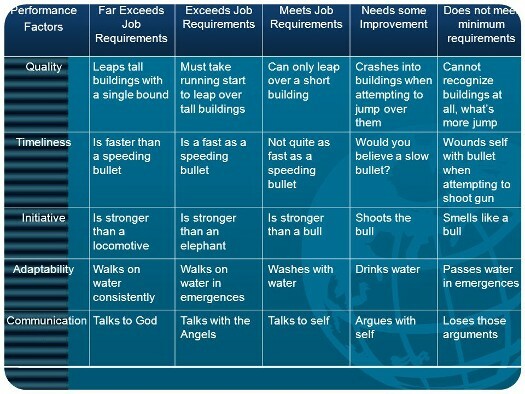 I remember coming across the above comical chart years ago. Long before the internet and sometime before the first cellphones. It was in either 1979 or 1980. I came across it in a company news-sheet – I was visiting in the North of England. It made me laugh out loud, a phrase now universally known and used by the acronym, LOL. It has now been promulgated worldwide on the internet. Thinking back, one cannot avoid reflecting on how the world has changed. When I picked up that news-sheet and “LOL”, Mrs Thatcher had recently come to power. The Single European Act was in the future and the “Common Market” was something we could have left without much more difficulty than UKIP think we can now. When I set up this blog on Wednesday 21st October 2009, a lot of water had flowed under the bridge. I’d lost both parents for a start. Both sets of aunts and uncles were also dead. I’d become estranged from a first cousin. Politically there had been enormous changes. The “Cold War” was over. The USSR and the GDR had ceased to exist. The Peoples’ Republic of China was a de facto capitalist economy but de jure Communist, due to the inherent Chinese inability to loose face. The UK’s membership of the “Common Market” had changed utterly. It was now firmly integrated into what had become the European Union. On that Wednesday at the end of October, the idea that “Brexit” would happen was a pipe dream! Of course, at this point, some readers will assert: “I knew it could not last! I told [x] that we’d be out by 2020! To these great sages I have one question: Could you please email me the winning lottery numbers for Wednesday 20th December 2017? I’d be very grateful as it would be the best Christmas present imaginable! Now the unexpected has happened, we are bearing witness to the consequences of what can be called, “the European Project”. The never to be sufficiently damned architect of the European Project, Jean Monnet, planned his monstrous act of treason carefully and methodically. He knew that his dream (nightmare surely – Ed.) would be long in the making. That the changes necessary would have to be gradual so the voters would not recognise what was truly going on and thus rebel. As with any strategy, it has other consequences. Just like a drug a sick person takes, there are side effects. The side effects on the adversarial “two party” system at Westminster was severe. “Ever closer union” has had a corrosive effect on the competence of the British body politic. This is something neither I or the EU Referendum bloggers took into account. What we appear to have – IF Dr. North’s analysis is correct – is a governing class that is no longer up to the job and a mainstream media also incapable of doing what a media has to do in a democracy – hold the elected government and the opposition to account. Dr. North rightly deplores the situation in his blog-post today (http://eureferendum.com/blogview.aspx?blogno=86706). Mr Jacob Rees-Mogg has deplored the prospect of the UK becoming a vassal state of the EU. Something this organ has described as “Purgatory” and “Dependent Territory Status”. And yet, it sadly appears that this ultimate in humiliations might be necessary because IF the UK political class is now incapable of governing the country effectively: To preserve the economy, and the jobs of the people depending on it, someone competent ought to do it! The answer should of course be: Parliamentarians chosen by British voters. Given the sustained and persistent incompetence demonstrated by HMG, it seems the German car industry and others have lobbied their governments demanding that they do something to preserve and protect their businesses from the disastrous consequences of the “Hard Brexit” that appears to be at the top of Mr Henry Bolton’s wish list! Thus it is that President Tusk is faced with a similar conundrum that faced British Prime ministers in the 1950s. Britain’s African colonies were insisting on independence. However, these colonies did not have the necessary political human infrastructure necessary to implement a stable regime. Independence was granted anyway and the result was sadly predictable. It seems that, unless this is all a gigantic deception, the EU is determined to put in place a transition which will have the effect of postponing the consequences of Brexit. Probably in the hope that they will be cancelled! The problem however will be that it will be a case of; “Game, Set, Match and Championship!” so far as the EU is concerned for it seems that the Tory government led by Madame Mayhem and Dimwit Davis are placing their necks and the UK’s neck in a noose. On a gallows where the hand on the trapdoor is Herr Juncker’s! You see, the Transition Treaty as we have so far discerned is one where the UK leaves the EU, leaves the EEA, leaves the Customs Union and yet, for the period of the treaty, will be treated as if it was a member of those institutions! This is not even Associate Membership. It is Guest Membership! The UK’s options would be limited. The UK could either apply to rejoin EFTA and then apply to rejoin the EEA. In other words, become like Norway. The problem here is that to become like Norway, the UK could not rejoin the EU’s Custom’s Union and thus the necessary infrastructure such as border/customs posts would have to be constructed. ON both sides! Presumably this would be undertaken during the duration of the Transition Treaty. The UK could of course apply to rejoin the EU. However, as a new member it would have to join the Eurozone and the Schengen Area!